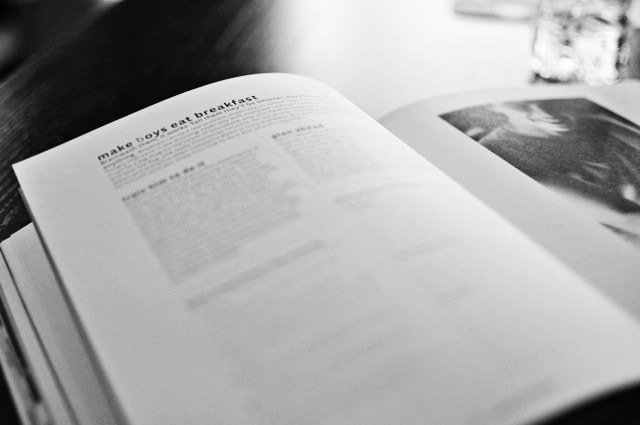 How could a mom of boys not stop in her tracks to read these taglines to a cookbook: "Feeding Men & Boys" and "Recipes, Strategies & Survival Techniques--Bringing Back The Family Meal." 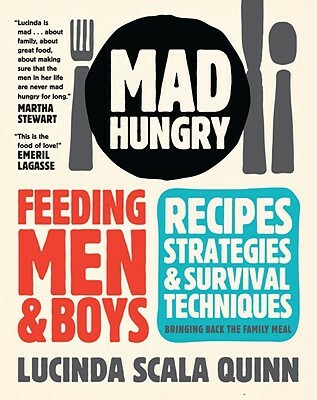 Lucinda Scala Quinn, author of Mad Hungry, had me at "Feeding Men & Boys." Men eat differently from women--they eat more, they eat constantly, and they eat passionately...but feeding them well is what many of us love to do and few jobs feel as satisfying. It's what keeps them healthy, keeps them happy, gives them some of their fondest memories, and teaches them to cook. 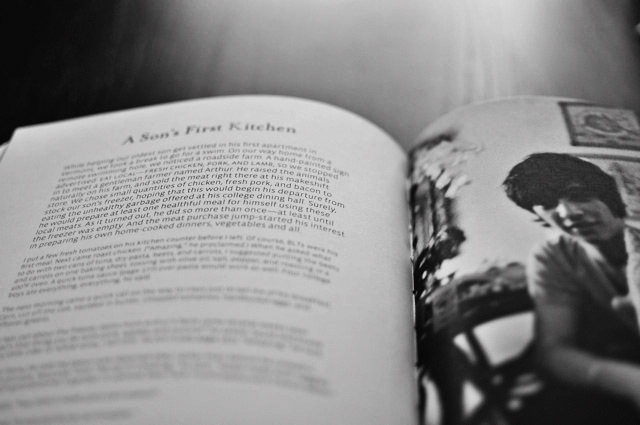 More than a collection of recipes, Mad Hungry gives inspiration and instruction (to new and seasoned cooks) to the art of cooking for family. As a mother of boys, Lucinda lovingly gives insight to both the logistics and the rewards of including boys in a family-centered culture of cooking. Boys and men who grow up eating flavorful home-cooked food are more likely to cook for themselves. A man who knows how to cook is more self-sufficient, is a better roomate, boyfriend, father, and son. And as any wife knows, a husband who can cook is like one who can dance--the deluxe package. I so appreciate the variety of recipes in this book, and was amused to find a recipe for "Meaty Noodle Soup, Asian Style" that reminded me of my family recipe for "Chinese Beef and Carrots". Lucinda does a great job covering all the bases from comfort food to exploration food; quick and easy to labors of love. Future men are made not merely in classrooms and on the football field. They are formed around the kitchen island, while setting the table, over a pot of stew. Many are the memories of a boy's life, but may it be said someday of our kitchens and of our meals served day by day as moms: "This tastes like home." 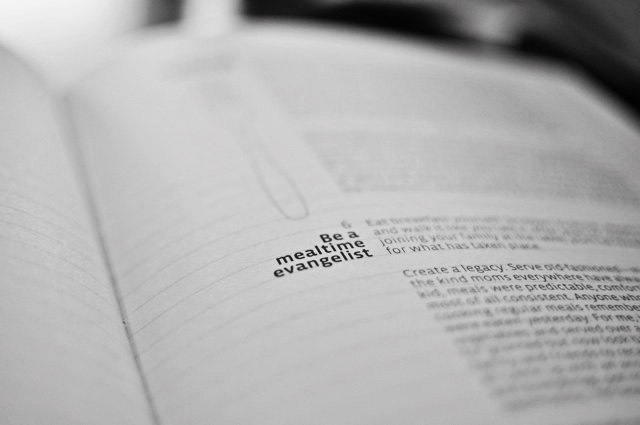 Instead of being a chore, mealtime can be the foundation of a wonderful relationship with the men and boys in your life. Preheat the broiler. Heat a 12-inch cast iron or nonstick ovenproof skillet over medium heat. Swirl in the olive oil. Add the onion and saute until translucent, about 3 minutes. Add the potato and 3/4 teaspoon of the salt. Continue to cook and occasionally stir until the onion and potato are slightly browned, 5 to 6 more minutes. Add the eggs and the remaining 3/4 teaspoon salt. Swirl them around the pan and lower the heat. When the eggs are set on the side but the top is still loose, place the pan under the broiler for 2 minutes. The tortilla will trun slightly golden and puff up before it settles. Cut into wedges to serve. *If baked potatoes are on the menu, cook a few extra to use in this recipe.